This is the tale of two breakfast staples and two conscious eaters on a perpetual quest to enjoy a satisfying morning meal. Round 1: This conversation all started with those Go Lean commercials featuring cheerful, friendly Kashi employees handing out samples, telling customers the cereal boasts as much protein as an egg. Can it be true? Kashi’s Go Lean cold cereals have between 9 and 13 grams of protein per 1 cup serving, while one egg has 6 grams. The cereal comes out on top in terms of grams of protein in a one cup serving vs. one egg, but remember to factor in your serving size for a true comparison. Round 2: Stacey gives Go Lean cereal a try. Finding a healthful, satisfying breakfast for a pregnant woman is a whole other ordeal. To that end, Stacey was skeptical that Go Lean could live up to its hype, especially since she finds eggs so satisfying and tasty. There’s also the fiber issue, as in too much of a good thing. For those unaccustomed to more fiber, some of the Kashi cereals may offer unexpected <ahem> after effects. Stacey found the Go Lean worked well as an accompaniment to other types of cereal, rather than on its own. It could also be a suitable mix-in for yogurt, or an added crunch to oatmeal. Round 3: Finding satisfaction. Our final test is determined by our overall level of satisfaction from the breakfast meal. We’re both looking for tasty, convenient options that will tide us over until lunch, or mid-morning snack depending on our daily schedule. Protein and fiber are the biggest factors in satisfaction, both of which you can get from the Go Lean cereals and an egg coupled with a whole grain or fruit side. Egg protein is the gold standard of protein, whereas the increased protein in the cereal comes from a mix of soy and grains. It’s a personal choice in terms of time, willingness to prepare the meal, and appetite. We’re fans of cold cereal with milk if it’s going to provide lasting results, but both agree that eggs for breakfast is our top choice. In case you missed it, we’ve posted about our love of eggs before, including a recent fun recipe for Challah egg cups made in a muffin tin. For more on eggs, visit the Egg Nutrition Center. What are your thoughts on this breakfast showdown? What is your go-to breakfast meal? 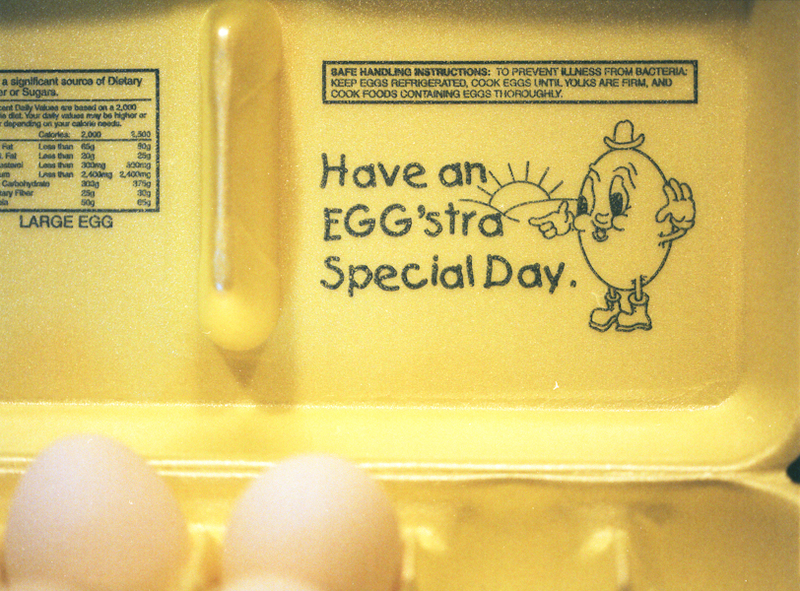 "as much protein as an egg"
"have an egg'stra special day"